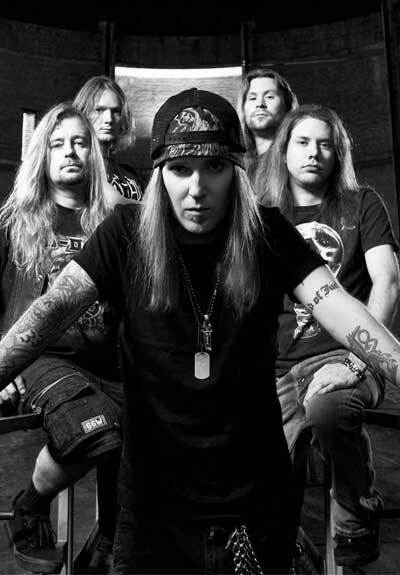 Children of Bodom is a Finnish band with worldwide recognition. They are mostly known as a melodic death metal band, therefore COB gathered and merged various musical styles and directions. Melodic death metal, thrash metal, power metal, neo-classical metal, and early symphonic black metal are few ways how the band was recognized and named by fans and music critics. Over the course of 20 years, Children of Bodom released two live albums, nine studio albums, two EPs, one DVD and two compilation albums. With more than 250,000 records sold only in Finland, they became and became one of Finland’s best-selling artists of all time. With all their success COB have often been referred as “The kings of Melodeath”. "Follow the Reaper" - the band’s third studio album opened the line of their albums, which received the Gold certification in Finland. Three consecutive albums of Children of Bodom, released in Finland, reached high positions in the country and foreign album charts. They debuted and kept its position as a number one in Finnish charts as well as have been included in the United States Billboard 200. Keyboard player Janne Wirman uses many Mad Professor pedals and Alexi Laiho often uses Little Green Wonder on tour.